You are here: Home / What Are Fixed Index Annuities? It’s not often that you find something you can count on to go up, but not go down in value… but that’s exactly what an index annuity does. And when you couple that protected growth with insulation from market volatility, you may find this to be one of the smartest things you can do with some portion of your retirement nest-egg. These valuable retirement planning tools also go by the name of Indexed Annuities and Equity Indexed Annuities. In addition, on another page, we explore index annuities with income riders that turn the index contract into an income vehicle. These are sometimes called Hybrid Annuities, but on this page, we’ll focus on the inner workings of the baseline Fixed Index Annuity contract, how they work, and explore some of the pros and cons. In a fixed index annuity, the insurance company uses your premium to buy safe and secure assets like bonds and real estate mortgages. This is what insurance companies traditionally do in their ‘fixed accounts’ and it is this stable book of business that forms the underlying yield in core insurance products like fixed annuities and cash value life insurance. But unlike in a fixed annuity or a life policy where you’re credited with earnings from this fixed account once a year, with a fixed indexed annuity, the insurance company uses the earnings from that fixed account to buy participation- typically through an options strategy- in a market index. With option participation in the market, if the market goes up, the options are ‘in the money’ and a gain is realized. If the markets tank, all that is wagered is the option consideration. So you can see in the name ‘fixed indexed annuity’ it is a fixed yield underlying contract whose gains are re-invested in an index strategy. You can also see how the insurance company can make the promise that your principal will never go down in value- because the principal is always invested in ultra-safe assets, the insurance company can guarantee no losses on that money. It’s only the earnings that are at risk. And finally, as it is an annuity under US tax laws, the growth of a Fixed Index Annuity will defer, compound, and grow upon itself tax-deferred until it is taken out. The rate of growth credited to your contract is calculated (sometimes by complex formulas) based on the performance of a market index. The most common index is the S&P 500 or the Dow Jones Industrial Average (DJIA), but there are hundreds of varieties, linked to everything from gold indexes, to foreign markets, to esoteric and proprietary indexes. 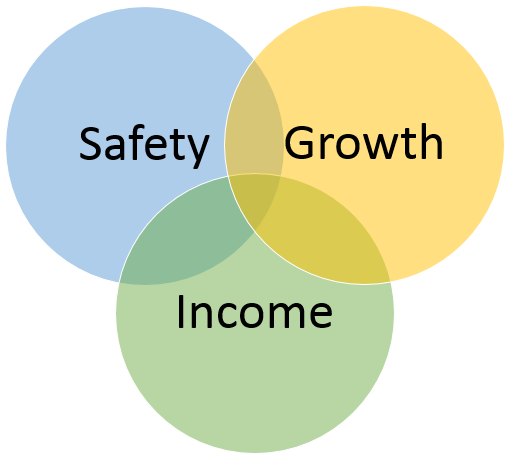 Measuring growth rates, comparing indexes, and understanding crediting methods, caps on credited growth, and participation rates in growth, is broad and complex topic that we’ll explore in a moment on this page, as well as other pages on this site dedicated to fixed index annuities. Suffice to say that it can be challenging to draw apples to apples comparisons between contracts and carriers. The primary buyer of a fixed index annuity is seeking to ‘take some money off the table’ by protecting assets. In fact, one of the better strategies is to use a fixed index annuity as a bond alternative. Here’s the logic- bonds produce a stable yield but carry interest rate risk to the principal and credit risk of default… Why not substitute your bond holdings with a high quality, low cost index annuity which has principal guarantees and a reasonable rate of growth? In addition, another typical buyer is looking for respite from market volatility. The ups and downs of the stock market are particularly painful in the years leading up to retirement, and during retirement, a bad swing in the markets can take away years of comfortable retirement income. Removing volatility from your portfolio builds retirement security. Another typical consumer of fixed index annuities seeks income. In reality, the ultimate point of all investment activity is to produce income. How best to turn your accumulated investment portfolio into income? 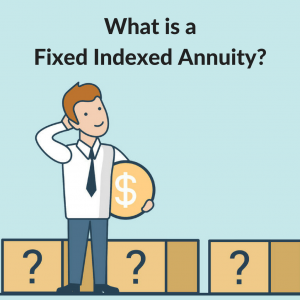 That is more of a timing question than anything, and using safe and secure index annuities will give you time, with protected principal, to pick an advantageous moment to withdraw for income, or to annuitize, or to acquire a more efficiently pure income annuity, like an immediate annuity. It should be noted that there is a booming trade in ‘silver bullet’ index annuities that combine safety, growth, and lifetime income all into one contract. These are at times marketed as ‘hybrid annuities’ and like any jack of all trades, they really are the master of none. You’ll get marginal account growth, and when you do the math, you may need to receive income far beyond typical life expectancy to realize a decent yield. There are better ways to turn your assets into income than these ‘do it all’ type hybrid contracts. How Does Interest Get Credited? Interest crediting in index annuities is done in a variety of ways. Fundamentally, it works like this- as the value of an underlying index increases, some portion of that gain will be credited as interest to the account holder, on a timeline and according to a formula. The interest rate can never be negative, even when the market declines. And especially important is that interest that has already been credited to the value of the account can not be lost to a market downturn. That was easy to say… now for the fine print. There are a range of formulas that insurance companies rely on for crediting these gains. A given annuity’s design will play a part in determining the method used to correlate the interest amount the insurance company will credit at the conclusion of an index term. The most common term is yearly, but there are monthly, quarterly, and multi year options out there also. Formulas for crediting the interest are compromised of two components. These are the crediting methods, and the controls or limiting factors. Monthly Point to Point – this method assesses the underlying index value’s percentage change every month. When the conclusion of an index term is reached, the noted percentage changes for each month will be compiled together. This includes negative and positive month changes. Annual Point to Point – this figures the underlying index percentage changes from one date to the closing date. This will be the start and finish of the year for the given annuity contract. Multiple Year Point to Point – this assesses the underlying index value percentage change from a beginning to an end date set over more than a year apart. Daily Averaging – insurance companies compare the value of the underlying index from the conclusion of the index term to the value of this same index on the index term first day. They use a daily average based on generally 252 trading days in this comparison. Monthly Averaging – like with the daily averaging method, this compares the index value from the end of the term to the beginning of the term. This method employs a monthly average for comparison. Along with the crediting methods the insurance companies use, there are also controls or limiting factors applied. The end result of this is that total interest earned will be restricted to only a part of the gains in the underlying market index throughout the index term. The insurance companies explain this limitation as the price paid for the contract owner obtaining principal guarantees of protection. Participation Rate – this specifies the percentage in any increase (to the relevant market index) that the insurance company will utilize in compiling interest credit from the term (on gains linked to the index). Cap Rate – this limiting factor is the maximum participation that the contract owner can benefit from on all interest rates. In other words, it is a maximum total interest rate for a given term. Margin or Spread Rate – a predetermined percentage that the insurance company will subtract from the calculated gains in the underlying index, this decides what the net amount of interest credited to the contract can be. A final consideration is the beauty of free withdrawal provisions in such a Fixed Index Annuity contract. Because a contract holder can simply use a free withdrawal opportunity once a year to take out what he or she needs, this makes the tool an extremely effective and great safe money planning strategy. These particular annuities are often more lucrative, efficient, and flexible than alternatively utilizing Index Annuities with Income Riders. We are always happy to answer any questions that you may have on these and other types of annuities. For more information on Fixed Index Annuities, please contact DCF Annuities.